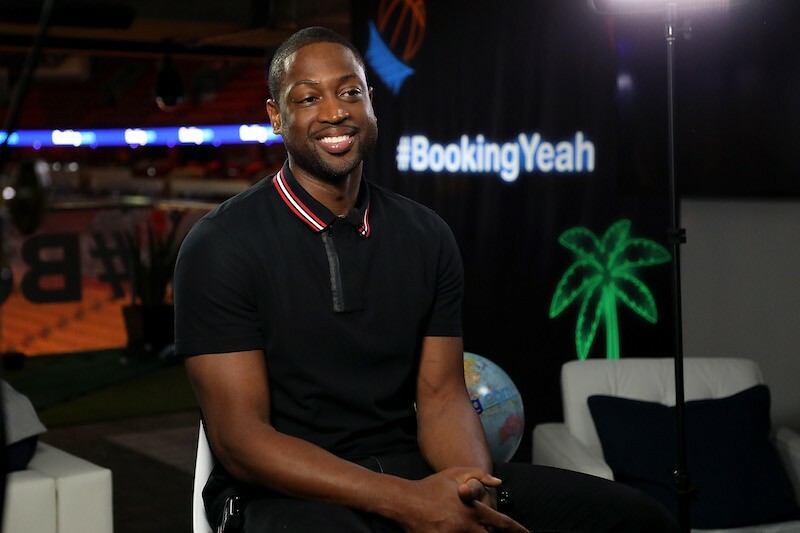 Booking.com Kicks Off Its “Book the U.S.” List With Dwyane Wade. Have you ever wanted to go all out for a Miami Heat game or other events across the country? Well, now you can with Booking.com‘s new ‘Book the U.S.’ list featuring a basketball suite at AmericanAirlines Arena, The Empire State Building and Nick Jonas‘ tour bus that are exclusive to the list. Dwyane Wade, Udonis Haslem and Justise Winslow celebrated the launch of the Ultimate ‘Book the U.S.; List inside a decked-out Basketball Suite at the AmericanAirlines Arena in Downtown Miami. Curated by the experts at Booking.com, the ‘Book the U.S. List’ features the coolest, most unique properties across the United States that goes beyond your typical hotel. You’ve seen it in the movies and millions of people from all over the world come to check out the international icon each year. For the first time ever, one lucky traveler and a guest will have the opportunity to book a one-of-a-kind overnight experience in The World’s Most Famous Building. From dinner on the 86th floor, open-air observation deck, to sunrise yoga overlooking the Manhattan skyline, the Booking.com Experience at the Empire State Building will provide an unforgettable memory in the city that never sleeps. With an experience that is sure to make all their friends jealous, Booking.com is offering one lucky fan and their guest the opportunity to stay for a night they’ll never forget on the Ultimate Nick Jonas Tour Bus. The Golden Globe and Grammy-nominated singer/songwriter, actor and record producer has teamed up with Booking.com to give his fans the opportunity to make themselves comfortable in a bus fit for the pop star himself. The one-bedroom tour bus will feature some of Nick’s favorite things, films he’s starred in…and for a little while Nick Jonas himself. Yes, Nick will stop by for an in-person meet-and-greet with the lucky traveler who books this amazing experience. All three of these properties are available on a first-come, first-serve basis and are open to people across the globe to book. 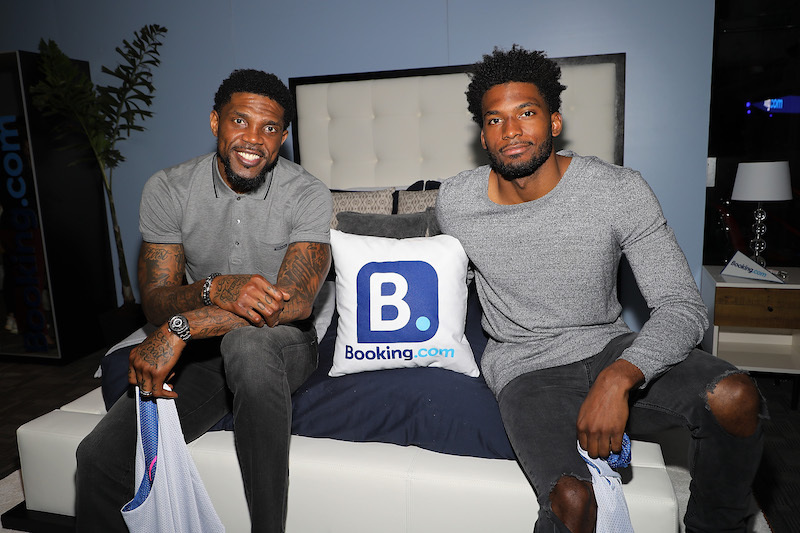 Miami Heat Basketball players Udonis Haslem and Justise Winslow attend Booking.com Kicks Off Its “Book the U.S.” List With Dwyane Wade.